Stockton Ca: The traditionally strong summer real estate activity here in Stockton CA has not disappointed so far this 2017. Over the last two months of May and June, Stockton has seen an increase in the number of newly listed homes. A welcomed site for home buyers in Stockton as the prior to May there were 7 straight months of declining newly listed homes for sale. In June, we saw 466 new homes listed for sale in Stockton, an increase of nearly 10% from May's 424. However, this was a slight decline of .9% from June 2016. Homes in Stockton CA continue to be selling quickly, comparatively to historical metrics. 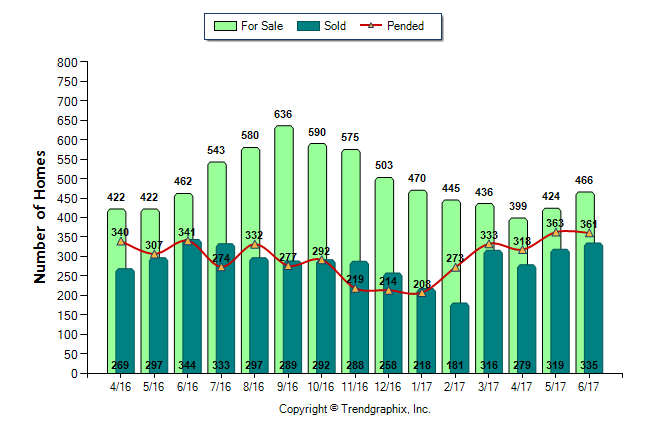 Last month on average, homes in Stockton went "pending" in just 34 days. 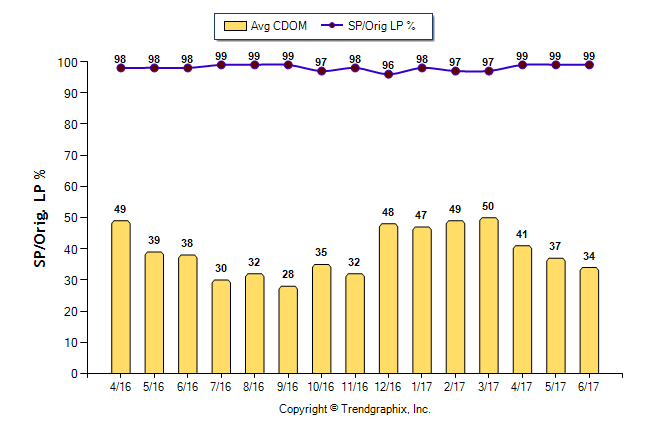 This is also a declining figure as you can see in the chart below. And many, in some of Stockton's most desirable areas, sell in less than a couple of weeks. Wow. The average price per square foot in Stockton just continues to slowly rise. In nice stat for homeowners. At an average of $169 per sq foot, this is an increase of 11.2% from this month one year ago. 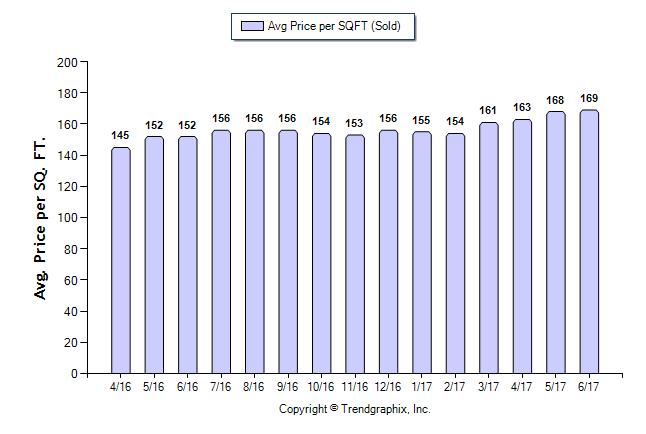 2 years ago, the average price per square foot in Stockton Ca was at an average of $137. That is and increase of 23.4% since that time.